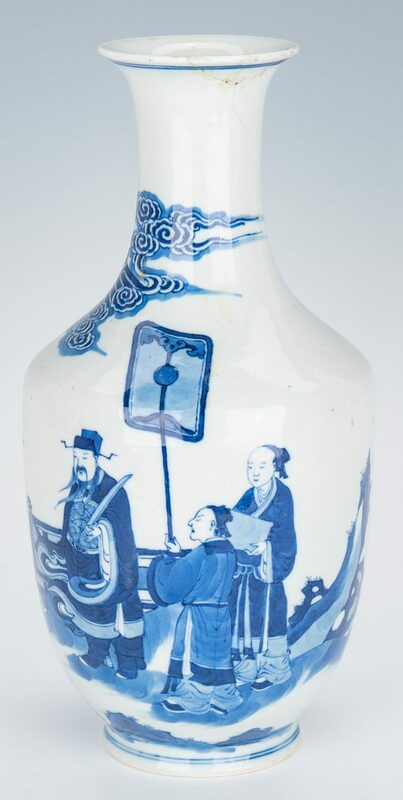 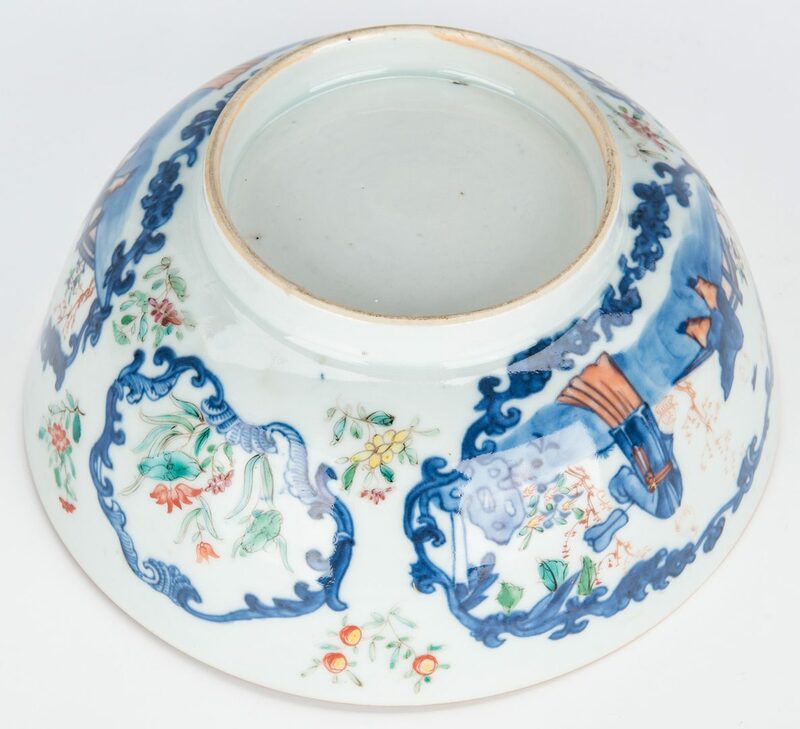 Eight (8) Chinese porcelain items, including two (2) large Chinese Export Famille Rose porcelain shallow bowls, each with central floral sprays and diaper and cartouche borders (10 1/2" & 11 1/8" dia); one (1) Kangxi or Kangxi style blue and white Chinese porcelain bottle vase with scenes of court officials, one gesturing to a tree; double concentric circle marks to base (12 1/8" H – note condition); one (1) doucai porcelain bowl, the sides decorated with cartouches enclosing figures in outdoor settings and various flowers (3 1/2" H x 7 7/8" dia. 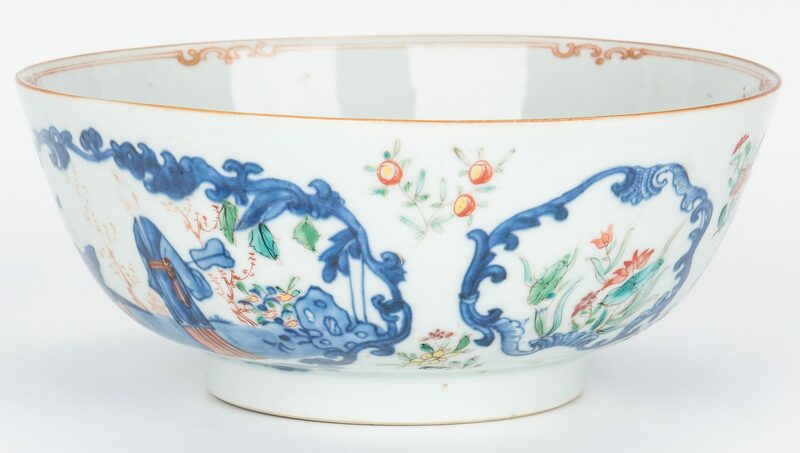 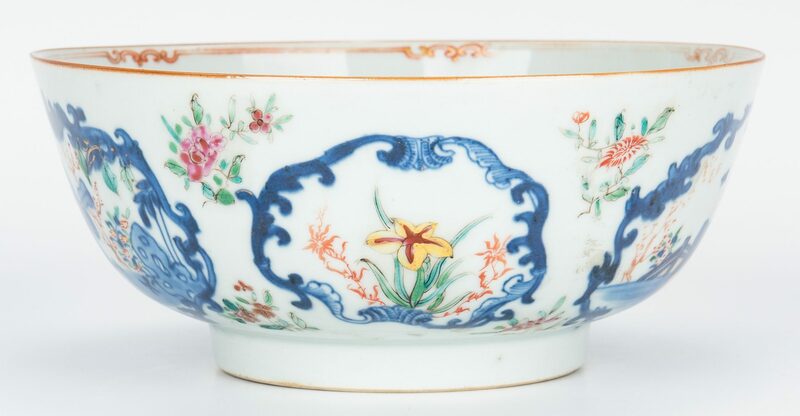 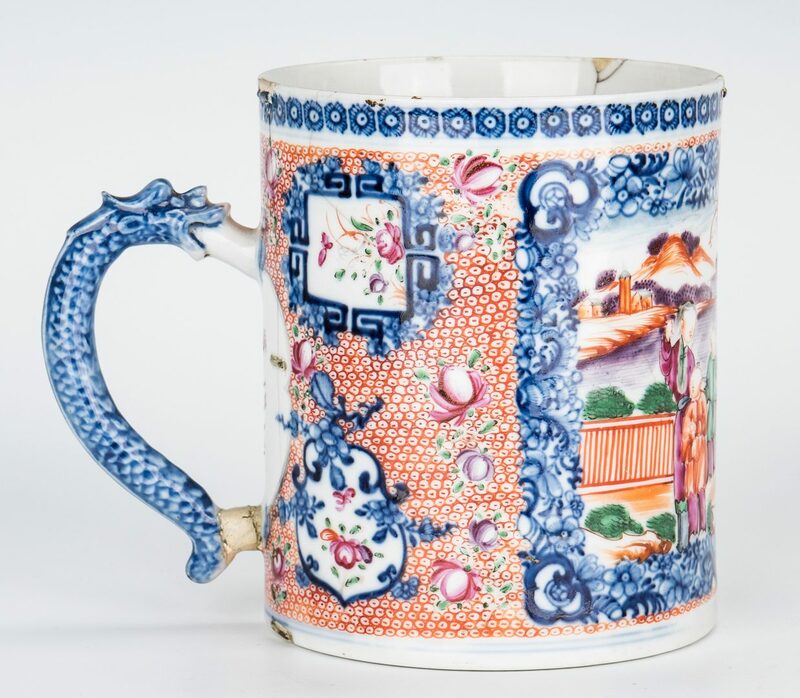 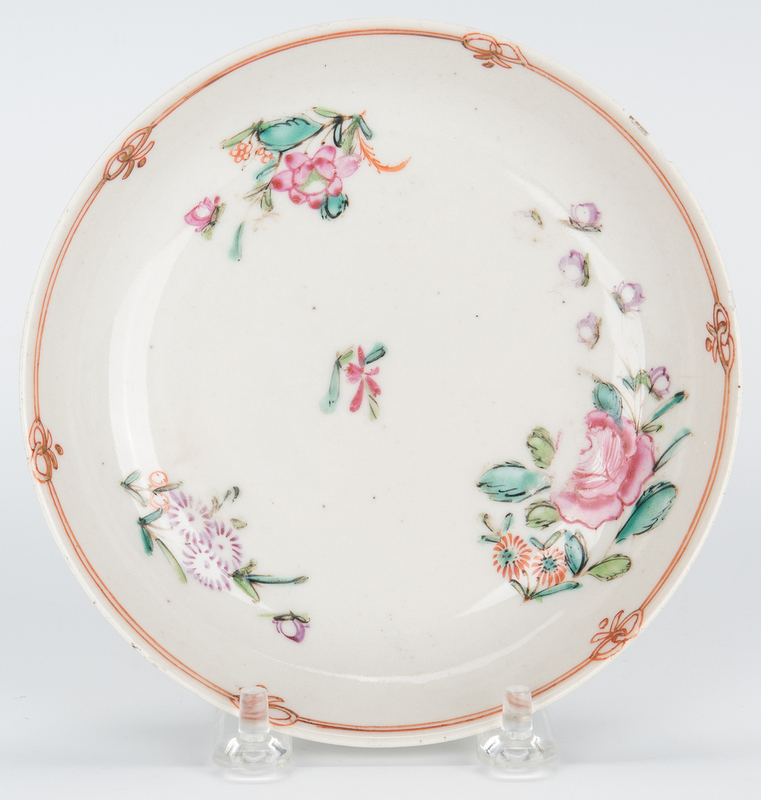 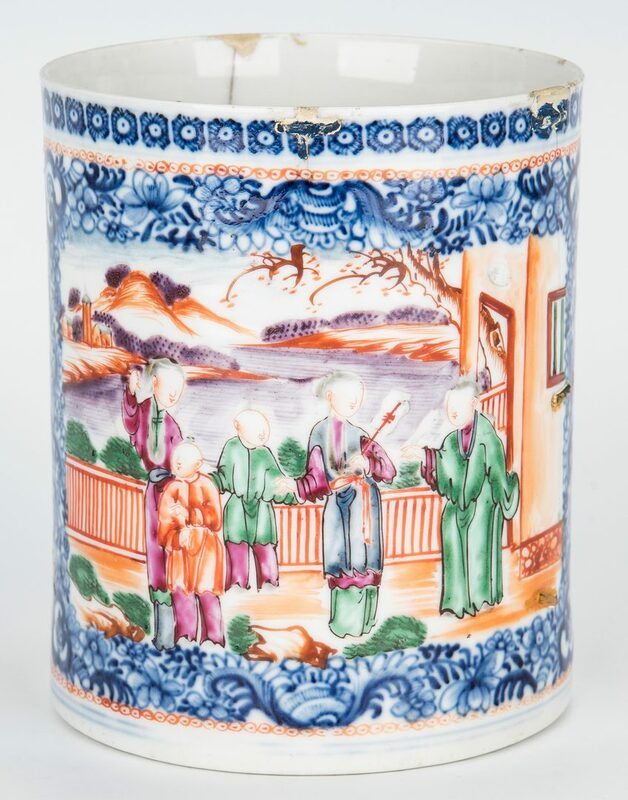 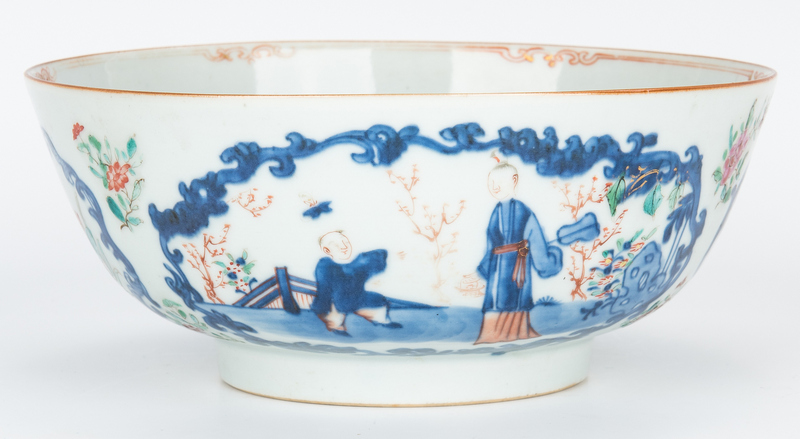 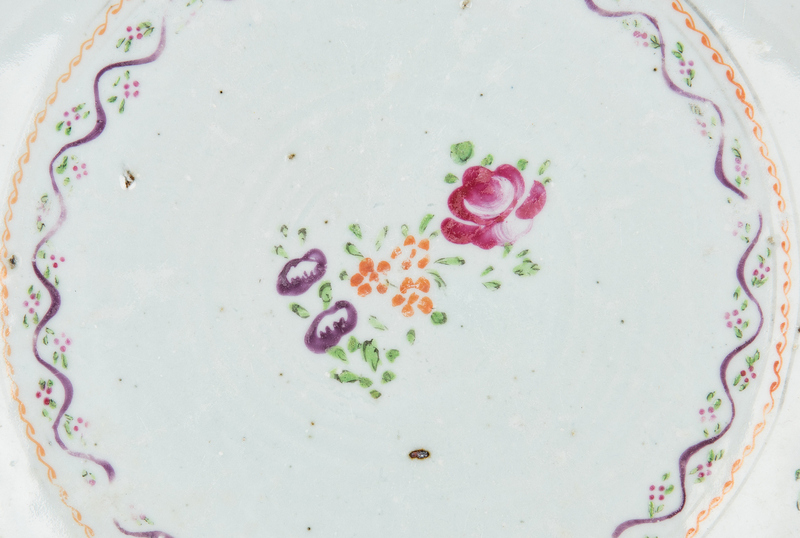 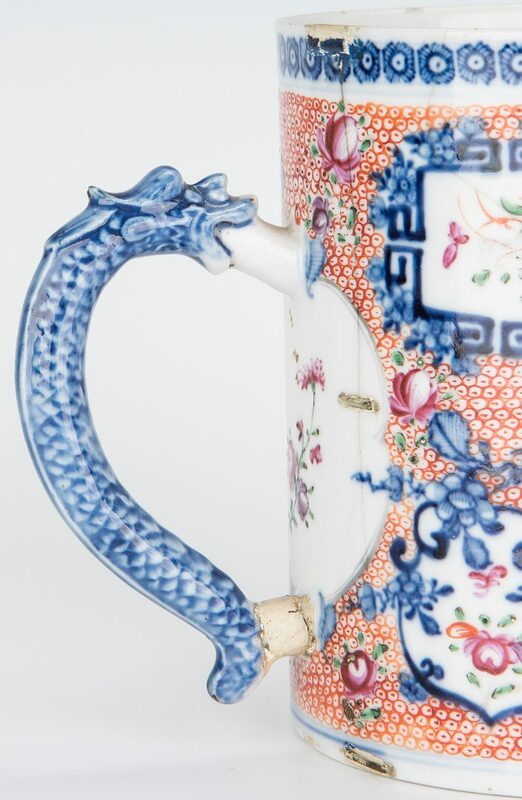 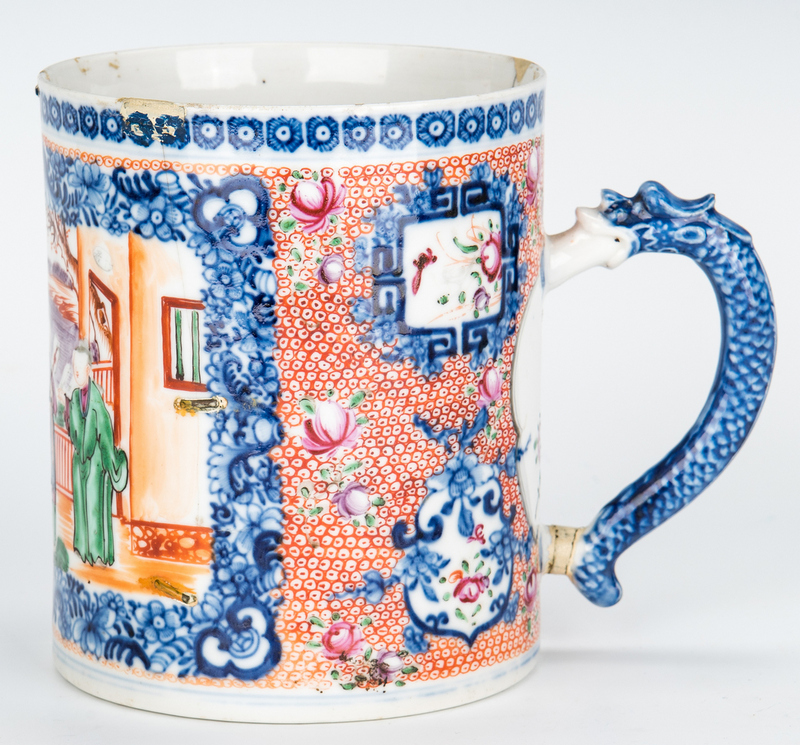 ); one Chinese Export porcelain cann or cider mug with figural dragon handle, the body decorated with figures in an interior, enjoying music, surrounded by floral borders and vignettes on a diapered background (5 1/2" H x 6 3/4" W); one (1) Famille Rose saucer with foliate decoration (5 1/2" dia. 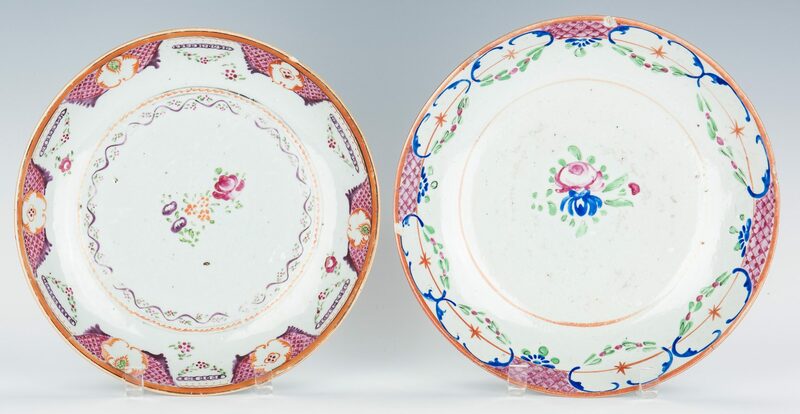 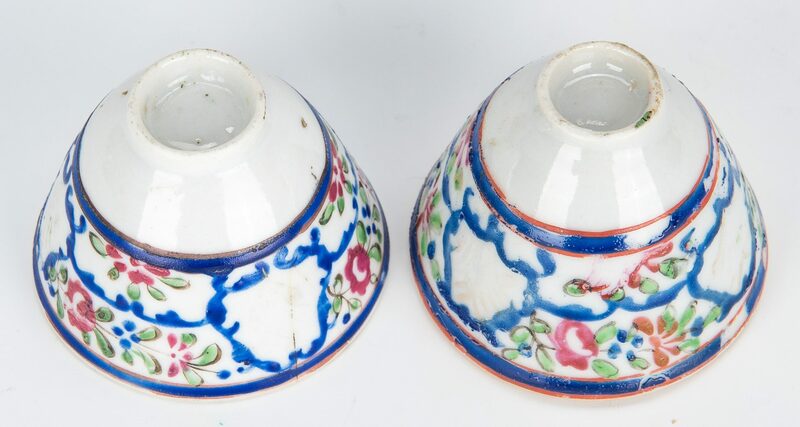 ), and two (2) small wine cups with floral decoration (1 5/8" H x 2 1/8" dia). 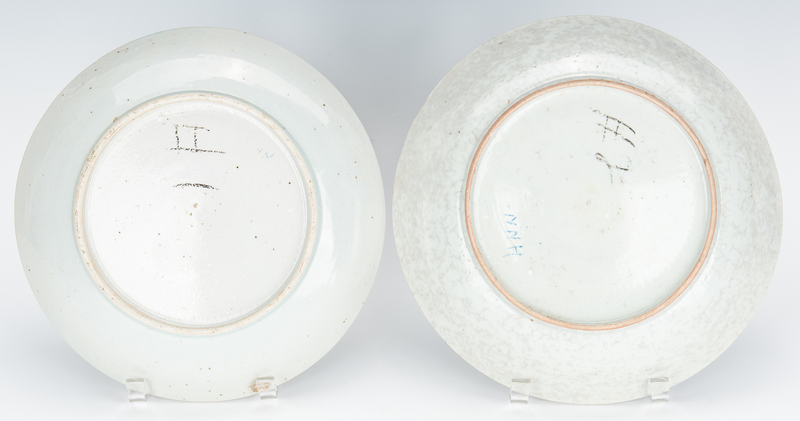 CONDITION: Both large shallow bowls with chips and fleabites to rim, one with hairline. 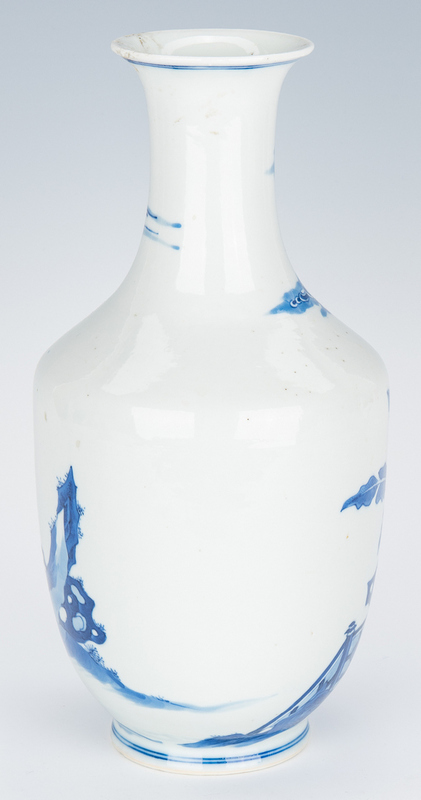 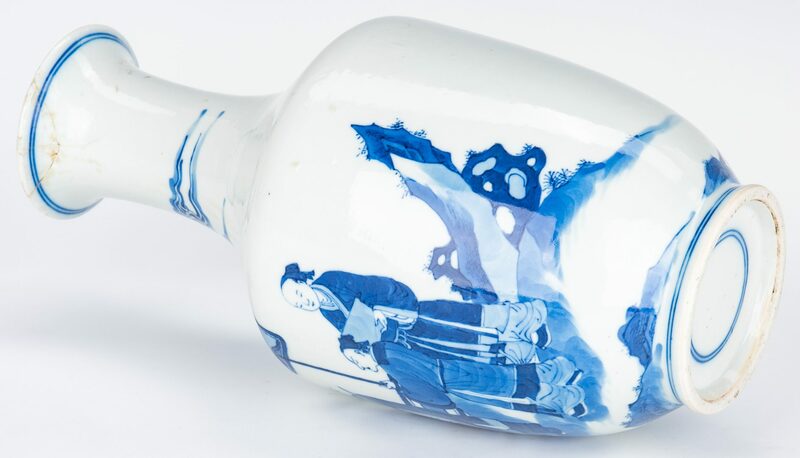 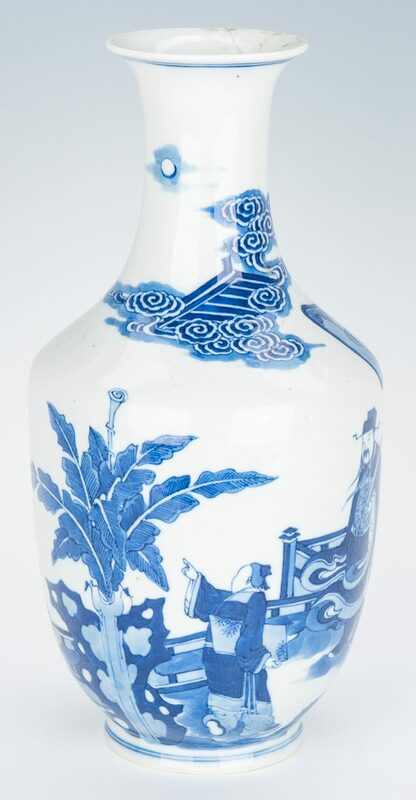 Blue and white vase with repaired break to rim. 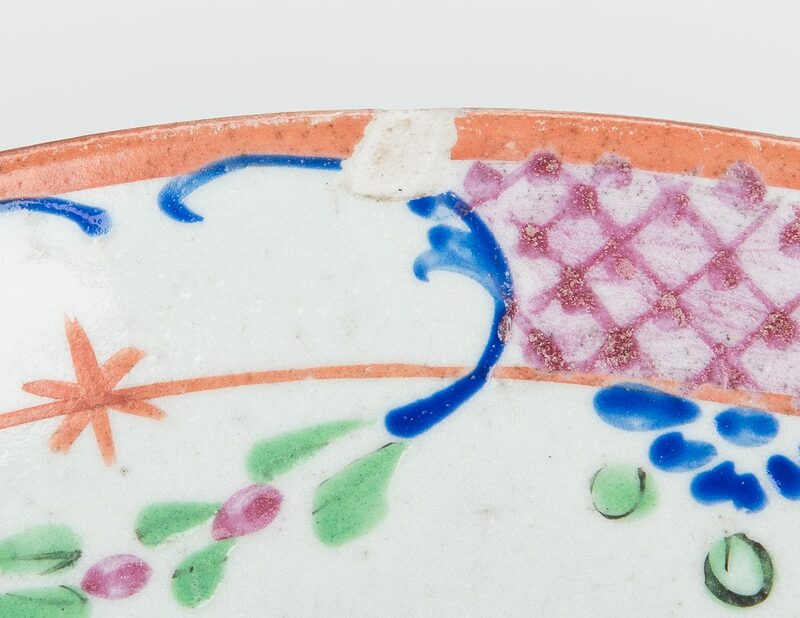 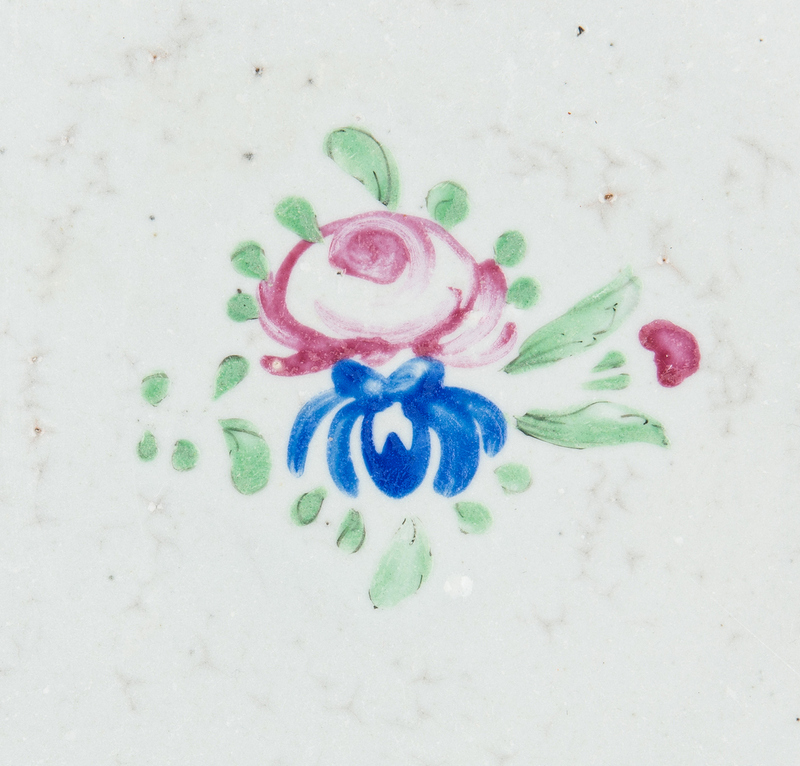 Bowl with wear to enameled decoration, possible hairline to base. 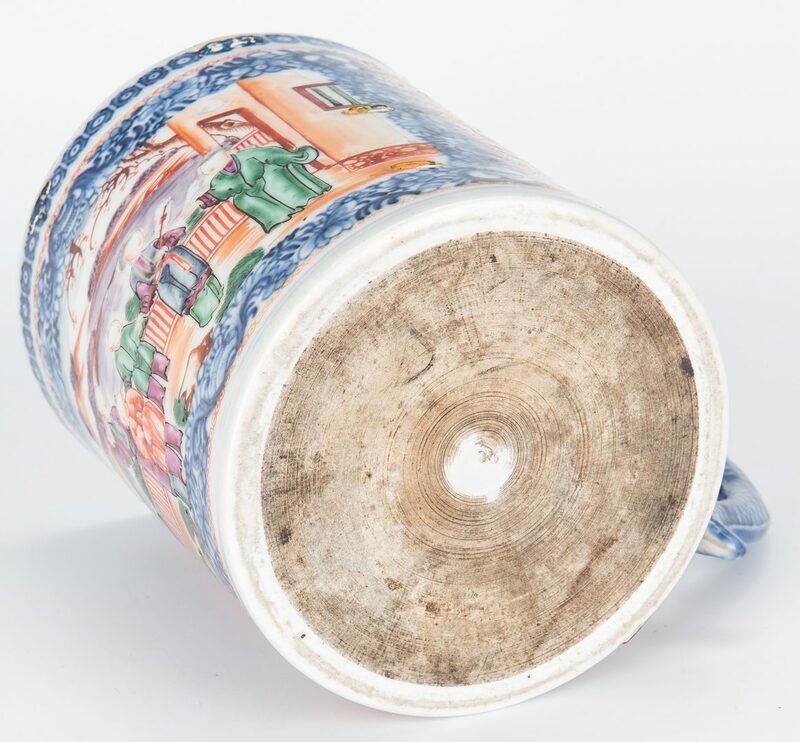 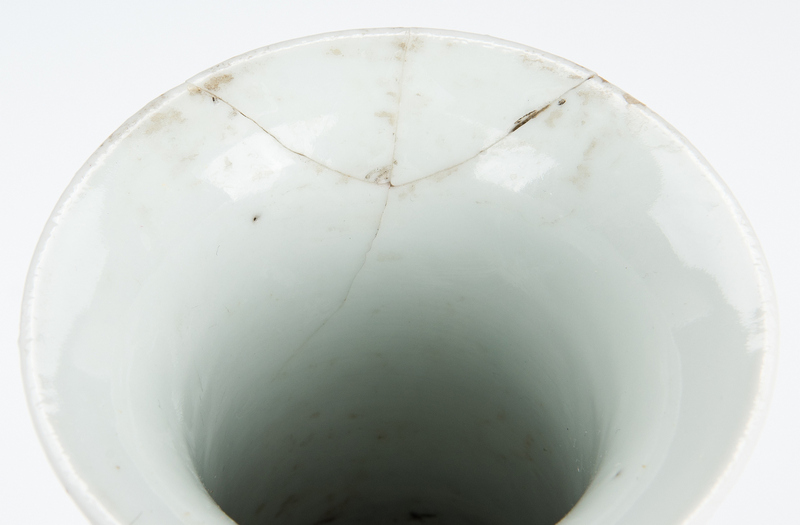 Cider mug with 7 old staple repair cracks to body, repairs to handle. 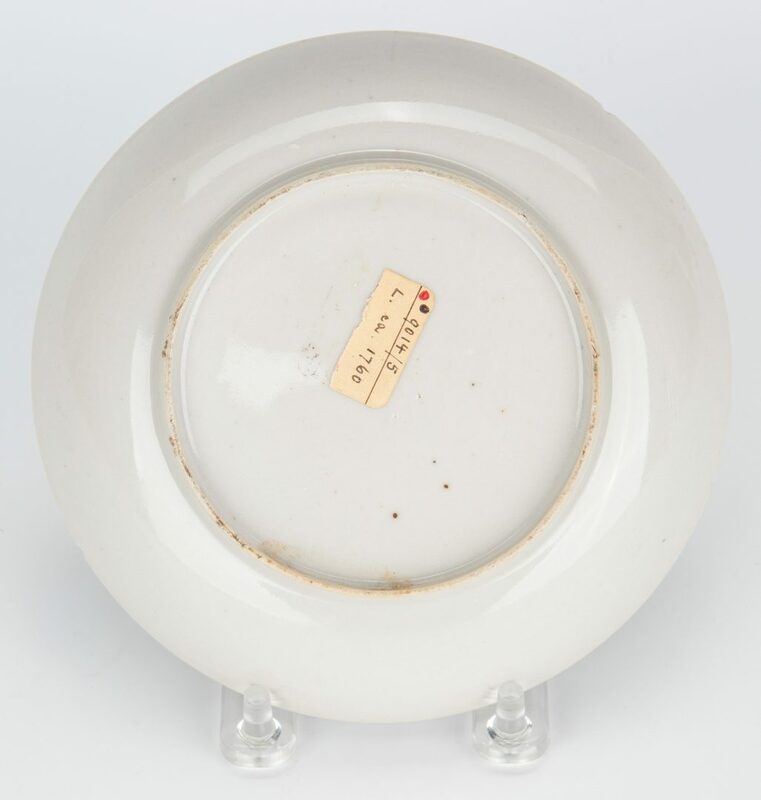 Saucer with fleabites to rim. 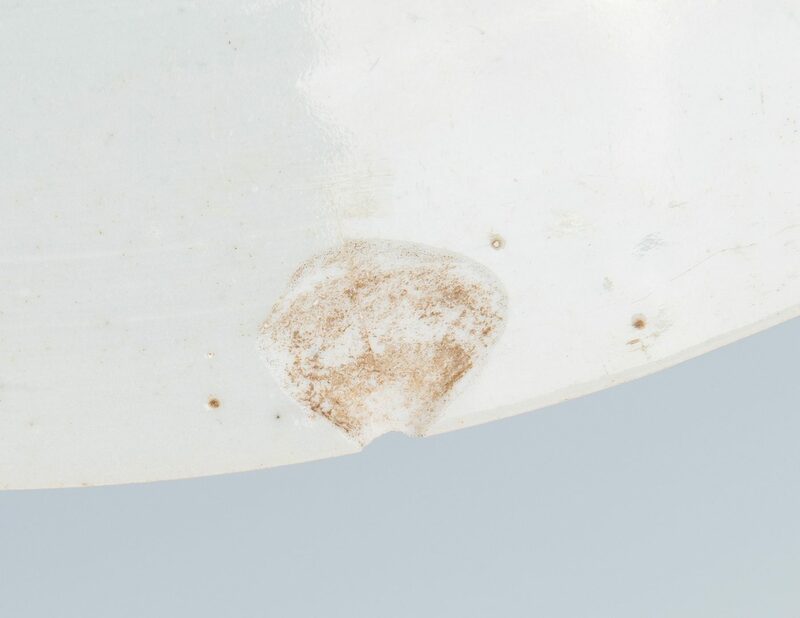 One wine cup with old repair to rim and fleabites to base, other cup with hairlines to rim and fleabites to base.